It looked like the Steelers would have an easier time of things two weeks back when they looked at the Jets, but a big win on the road Monday night in the ATL now has the Jets at 3-2. It will be the first time the black and gold will see Geno Smith at QB, and the Jets D did a good job vs the Falcons, and that can’t be overlooked as well. Here’s a couple things to look for about the Jets in today’s scouting report to get ready for Sunday’s game. 1. Not much Running – The Jets, much like the Steelers, have had issues running the ball this season, with Bilal Powell as the leading rusher for the team with 330. While Smith is the teams second leading rusher, the Steelers would do themselves a lot of good by making Smith and the Jets a one-man band by making them throw – a lot. 2. Pressure on Ben – Hey guess what – the Jets are going to try and bring heat. Nothing new. Rex Ryan’s teams seem to love to do that, and against Ben Roethlisberger and the Steelers, they will run different fronts and try to make him confused, and make him run around. Let’s hope the line plays MUCH better than the first four weeks. 3. Time for a Turnover – The Jets are not exactly really that good in the plus-minus like the Steelers either, at -9 on the season. The Steelers come in -11, which leads the league, which by the way is not a good thing. The black and gold simply have to find a way to get the ball out of Smith or another players hands and give them shorter fields to work off of Sunday. 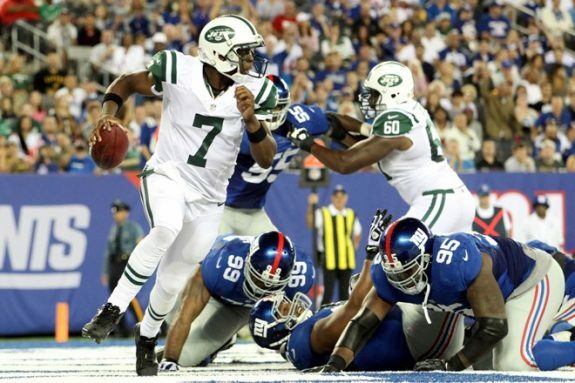 Be the first to comment on "Steelers 2013 Scouting Report Week Six: New York Jets"